It’s important to groom your dog. This covers everything from clipping nails, brushing, plucking hair from ears and parasite control. It’s fantastic for your dogs’ health, comfort and social acceptability. It is very important that your dog, especially if his coat is long, is brushed and combed. 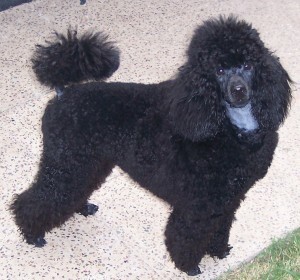 If your dog has matted hair this can cause skin issues and discomfort for your dog. Giving your dog a regular brush will not only develop better skin tone and circulation, his coat will look healthy. You can ask your groomer for some tips on which type of brush to get for your dog and any health concerns. Excessive smell and scratching for your dog can be as result of a few things. Dogs need to have their teeth and ears cared for as much as their coat as these can sometimes be the source of the smell. Scratching can be caused by dry skin as a result of nutrition, dry climate or washing with the wrong shampoo. Very rarely will a dog react negatively to a grooming. In the off chance it does, a vet can administer sedatives or tranquilizers to protect the dog from injuring itself and allows the grooming to be done quickly with little fuss. Dogs will usually readily accept being groomed once they get to know how good they feel afterwards. If you start your dog young and groom it frequently you have a better chance of it enjoying the process. Making an appointment every six to eight weeks with a professional groomer and brushing in between times will ensure your dog is the best looking dog on the block. This means the groomer can spend more time on finer details of grooming rather than looking after a coat that has been ‘let go’. A groomed dog is a happy dog.